(Note – I hesitated a lot to publish my quick notes of diaries as-is onto this blog. I would have loved to be able to write specifically for the blog, ideally, so that it’s a bit less ‘rough’ and more thoughtful. However I realized – after one month of keep trying but in vain – that it’s just too time consuming to do so hence unrealistic during the trip. It’s only going to do absolutely no favour to my original intention to document and share our trip. As such, I am going to, at least for the time being, to post my quick notes almost as is first (just deleted some purely personal/private references). So the upcoming few posts are going to be catch-up work. You will have to accept my apologies in advance for some obvious rush work). Road trip today from St martin de la Cluze to Antibes. What a beautiful trip! From snowy mountains (we crossed Vercors through le Col de la Croix Haute of 1200m), it was apparently snowing last night, all white everywhere, -2c at some point. Mont Aiguille was finally behind us. It was where Nicolas brought me and 2 other friends to mountain climb and I had the most impressive rappel in my life – 50 metres straight down, and at some point I was in the void, or in the air literally. We were relieved though to have passed the Col as we won’t sure if it would be too much snow to drive through. All these little villages dotted around the valley, the mountains etc. Then slowly landscape changed, into valley only, snow disappeared, olive trees appeared. Houses of yellow facade replaced the houses with volets (wooden foldable double window to keep the house warm). We were visually officially in Provence. Chateau became more often and accessible. More people walked or sat outdoor in cafe. Stopped at Sisteron for lunch. Set menu of confit de canard for 9 euro, great deal. Lovely town. Parking was surprisingly free between 12 and 2pm! While we got closer to Cote d’Azur, the temperature went up to 14c. Sunny, impressive forms of clouds. Well maintained highway, reasonable toll charges. Suddenly I was correcting myself for saying in the past that the country felt decaying. This time, I didn’t hear much winging. Even the public toilet was very proper (even saw a very innovative design of combining water/hand soap/dryer into one device). Why people choose to live where they live? When you can fairly easily travel from place to place nowadays. How many of us live where we live by chance or by accident? A person, some sort of romance? a desire just to see? accidentally passing through somewhere and felt in love? Where we will all end up? The questions of my life! We were asked so many times so far, where we will be after our RTW. Most people surprised when our answer was so certain, Sydney. Won’t you fall in love with somewhere else? It’s a long road trip for Nina, being strapped for 5 hours. Suffice to say that I should have prepared more toys and books. At 4pm, we arrived the sunny, warm, crowded and visually prosperous Antibes, to meet Monique my mother in law. We will be staying with her for the next week. And our real estate agent found us a tenant just today, who were moving in tomorrow! It’s all happening. Very stressful morning before hitting the road to sigh paper, answer questions etc. But everything falling into place as they say!! Monique prepared our bed using my old linen (what I had in Grenoble a decade ago). So cute. We were welcomed by a weather similar to that of la Capelle, except in a slightly warmer fashion. It rained and it would rain every single day during the week that we were here. Hence trying to find indoor entertainment. Good luck in an apartment! Playing football in the garage did the trick. At 5pm we had an appointment with a generalist for Nina’s vaccine of typhoid (she couldn’t get it in Sydney before we left with other vaccines because they would only give typhoid vaccines for kids above 2 years old). She was more a Buddhist than a doctor I have to say! Nothing was pressing, all could take time. 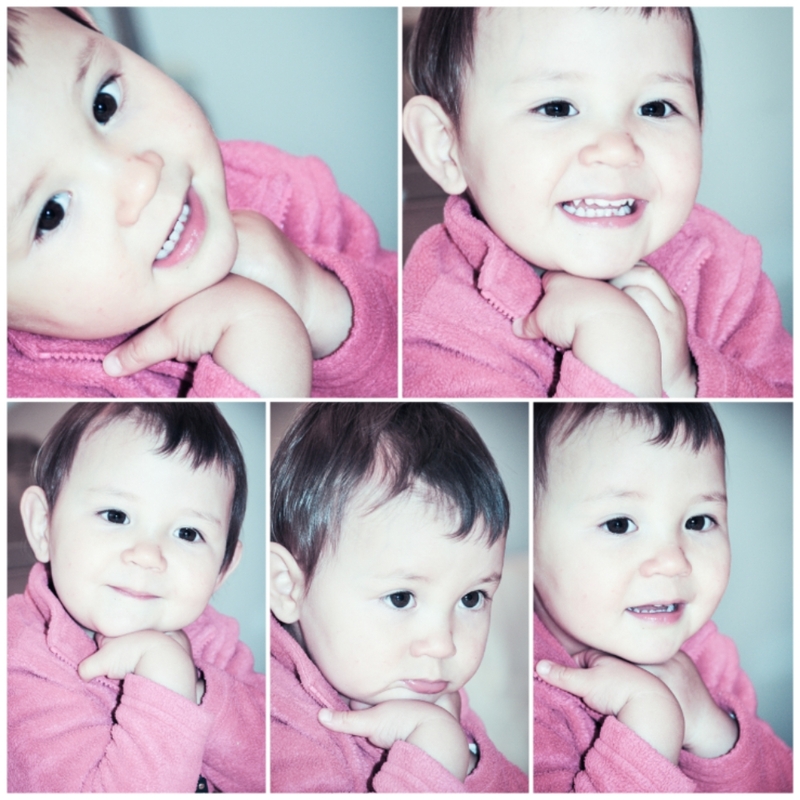 To find a band-it, it took her good 10 min and sorting through the paper in her drawer of the last 10 yrs, but in vain. She finally gave up and asked the doctor next door who shared the same cabinet. She didn’t ask a single question nor gave indication of what side effects the vaccine might have. She did though talk about the trips to Argentina etc. Her waiting room was quite charming. French President’s romance was rather entertaining for the whole nation. Now French people had not only a first girlfriend but also a first mistress! Quite disturbing when it comes to political etiquette. Yet it couldn’t happen in a more suitable country, where their precedent presidents had far more quantity of mistresses, or just went through one divorce and one marriage and one birth of child during presidency. French public had just fun of it. It provided the headlines for weeks and the raw materials for numerous talk shows and political debates. Funnily his support rate didn’t go down but went up. Only if Clinton could live in France! This morning I was granted the right to have a walk, on my own!! They took Nina with them to Casino for grocery, I went for a walk in the old city. I loved the narrow winding lanes, the doors, the stone walls and houses in the small alleys in the old city. I have always loved walking around, esp in a new place, and sometimes could walk for endless hours and days. I love the joy of surprise. Ever since the birth of Nina I wasn’t able to do this at all, and I much appreciated the few hours of being able to do it. Time for myself became the ultimate luxury. I need the time to feel no one else – not a mother, not a wife, not a daughter, not a neighbor, not a teammate – but myself. It’s also time to be taken by surprises and let the unknown inspire me. I need such time from time to time. Evening we went to Nicolas’ old school friend Ch for dinner. Another lovely soiree, especially for Nina. She ate and ate and finished two pieces of cake – a very delicious and good looking fruit cake. Ch’s family was a trilingual family too (French, Danish, English). There are really quite a few multilingual families around. Another record bed time for Nina: 22:30. She behaved rather quite well and didn’t even fall asleep on the way back home. This child adapted fairly well to the changes so far. Nina’s 2yo birthday today! Can u believe it has been two yrs since that long day?! Nico made a cake for her daughter, like last year. I guess it would become a tradition. This time it’s a round cake with clementine sauce. Pretty. 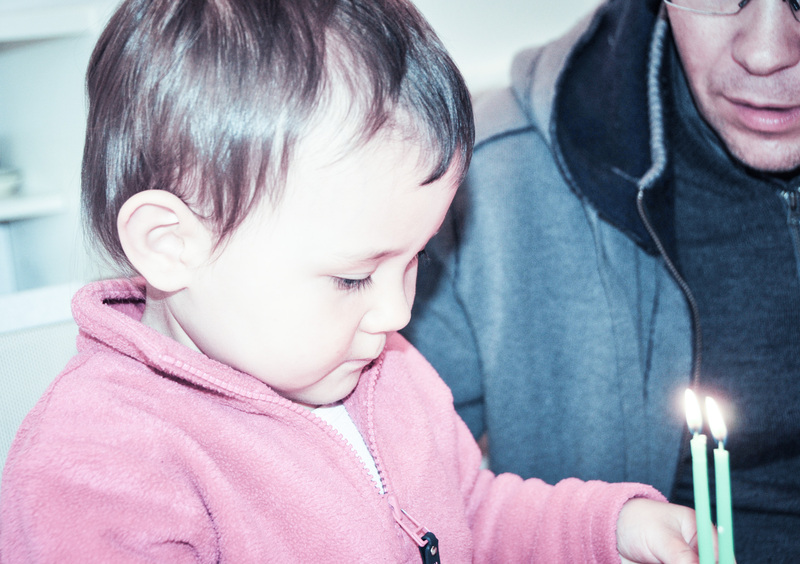 Nina liked more blowing her candles though. Last year we said instead of buying Nina a birthday gift, we would rather offer her a birthday experience. This year we were already doing a round the world, but I still would love a special experience for her birthday. The torrential rain limited our choices quite bit as we had to opt for indoor options. Hence we went to the Musee de Picasso à Antibes. I liked the museum (equally the Picasso museum in Paris) when I visited several years ago. It’s tugged in a most amazing part of the old town of Antibes, overlooking the Mediterranean sea on the one side, the old town the other side. A stone building, 3 stories. There is only one level however that was dedicated to Picasso’s works, painting, ceramics and sculptures. Between 1946 and 1949 when Picasso lived in the area he had part of the building as his studio. The other level to other artists work. The jewel was the garden though as far as I was concerned, dotted with cactuses and sculptures by Miro and others, overlooking the Mediterranean coast. Even under heavy rain, it was still pleasant walking in such a pleasant garden. Nina’s favorite was the stairs though. In the morning we went to the food market in the old town. I never got tired of markets. This one was another particularly charmng one, presenting everything that we could dream of Provence and Mediterranean: lavender, olives, sausage, tapenade, fruits. We had freshly made spinach and ricotta ravioli for lunch, and confit de canard for dinner (again! Did I already mention that this was one of my favorite French dishes?!). Nina was over petit Swiss now, but still fanatic about oranges/mandarins/clementines. How many 2 years one has in a lifetime? At 2, Nina has been to 5 countries (Australia, Fiji, China, New Zealand, France). At this rate, when she reaches 20, she would have gone to 50 countries. That’s what I’ve got in my bucket list of my lifetime! Despite the rain, or because of the rain, we decided to go to Italy for a pizza. Only 60+km and an hour away, it’s the Italian border. Ventimiglia was the first city after the border, and a quick glance over the guide book told us there was an old city, so we stopped. It’s a decaying but still rather charming old old town. Narrow, deep and high laneways connected the narrow buildings. Laundry hanging outside the windows reminded me of China. The laundry was under the rain for goodness sake! Only in places like Italy, there would be an overly decorated mirror on the external wall! The cathedral just finished the mass service when we arrived just after 12, but the organ player was still playing. Nina asked for more after each piece. The crypt had some beautiful crafted stones excavated from the same site during renovation (so as I understood from the Italian notice). It’s time for our pizza! But it was nowhere to be found. The old city was so quiet that hardly any shop was open. 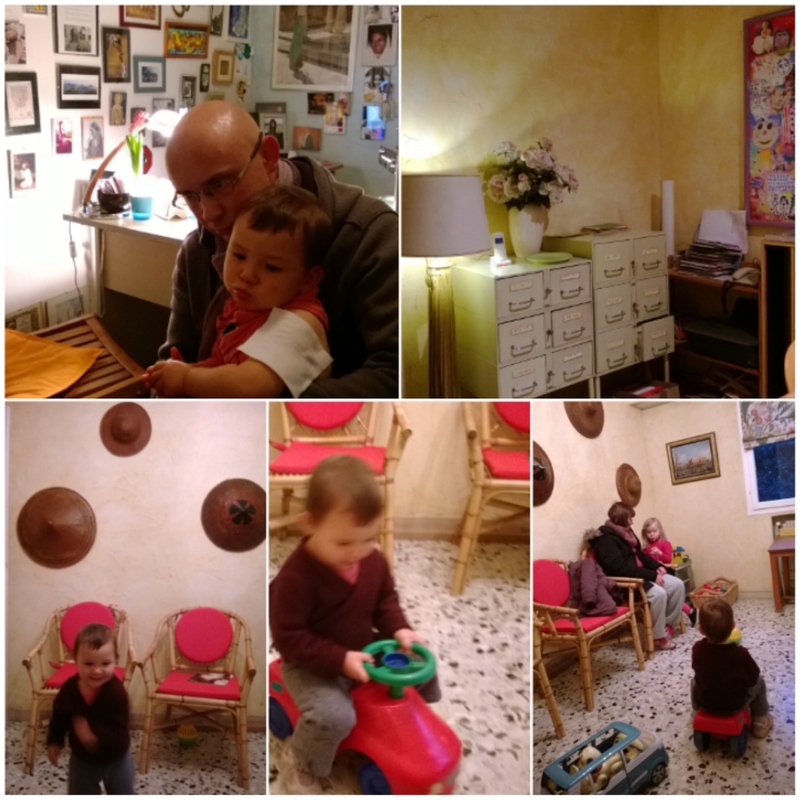 We were almost giving up, when we saw an open sigh from a pizzeria/ristorente! It was apparently on the petit routard… Well I should have known better when I saw the sign, but we were quite desperate at that point. When the waiter came to take the order I was told pizza was served only in the evening!! What kind of restaurant it was. We settled for gnocchi, risotto, lasagna, and spaghetti. All other tables were occupied by French speaking population, likely all disappointed by not having the pizza they came for. We went for a walk along the beach in the newer part of the city. Black sand, black cobbles, but lots of tree branches and rubbish washed onto the beach. Quite sad. Under rain not many people was walking so Nina could run and threw stones on the beach. Really kids didn’t need much to have fun. We pushed onto Bordighera for another 10 min, but the rain did take its toll and we decided it’s not worth getting off the car anymore. So we decided to do a u turn and stopped at Monaco because I said I had never actually visited it. Of course there was the casino, the tourists, the pretty cars, the luxury shops everywhere, but of course it’s not my type of city. Nina decided to push her pram through the raining city. I was tempted to visit the gilded casino inside (for once!) but as they didn’t allow little person under 18, I skipped it. My chance of becoming a millionaire overnight was just gone. The drive along Cote d’Azur was a pretty one even under rain. But from the evening news it seems there were lots of flooding, damages and accidents this week due to heavy rain. We apparently chose the best time to visit. No more rain today!! Although still cloudy mostly, the occasional sun was most welcome after 4 days of torrential rain. Went for a walk to Juan les Pins in the morning with just 3 of us. Had lots of fun running around the sand. The city was so quiet, most houses were closed whole day (as volets were shut)- this was indeed a holiday city. After lunch we four did a drive around the Cape d’Antibes, passing through quite a few gorgeous houses and the famous Eden Roc Hotel. Mental note: would be better to do a bike tour next time. Walked in the old town of Antibes. 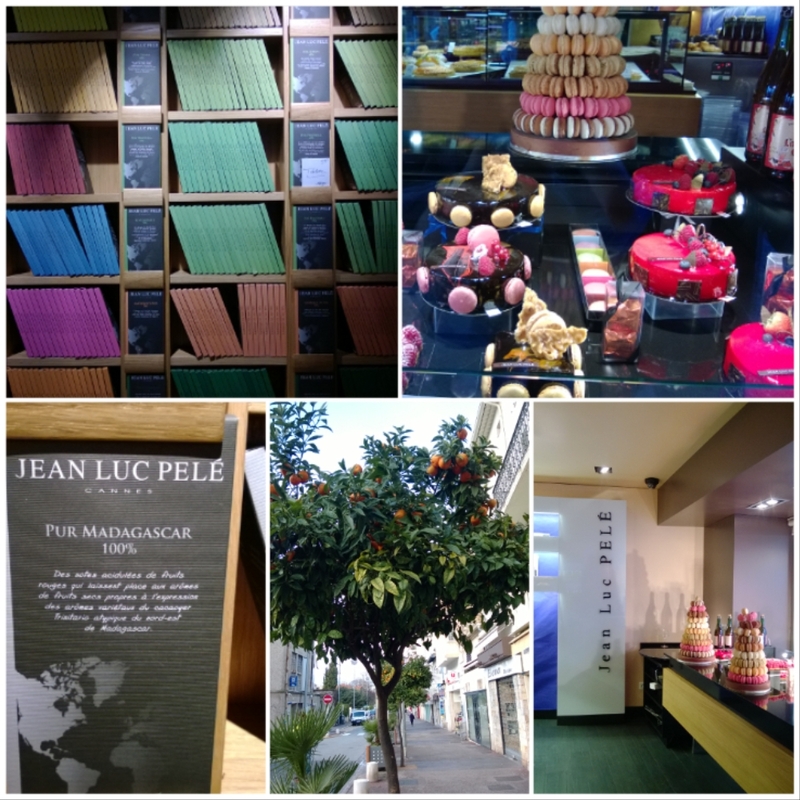 The most elaborated pastry/chocolate shop ever, called Jean Luc Pele. 100% black chocolate!! Definitely not my cup of tea. Then we drove to the lighthouse and chapelle on top of the hill. From there you had a really good view onto the city. The Chappell was perhaps the only one i have visited so far which was so heavily decorated by small photos and painting of all sorts. Not the typical kind of church. Then we had a most amazing sunset view. Certainly looked even more spectacular after a week of clouds. After dinner (moules frites), Nicolas and i decided to take advantage of the last night here with an in-house babysitting to go for a nightlife ? the city was even more dead at night. Only a few bars open. We opted for a rather trendy modern vin bar to finish off our stay at Antibes. 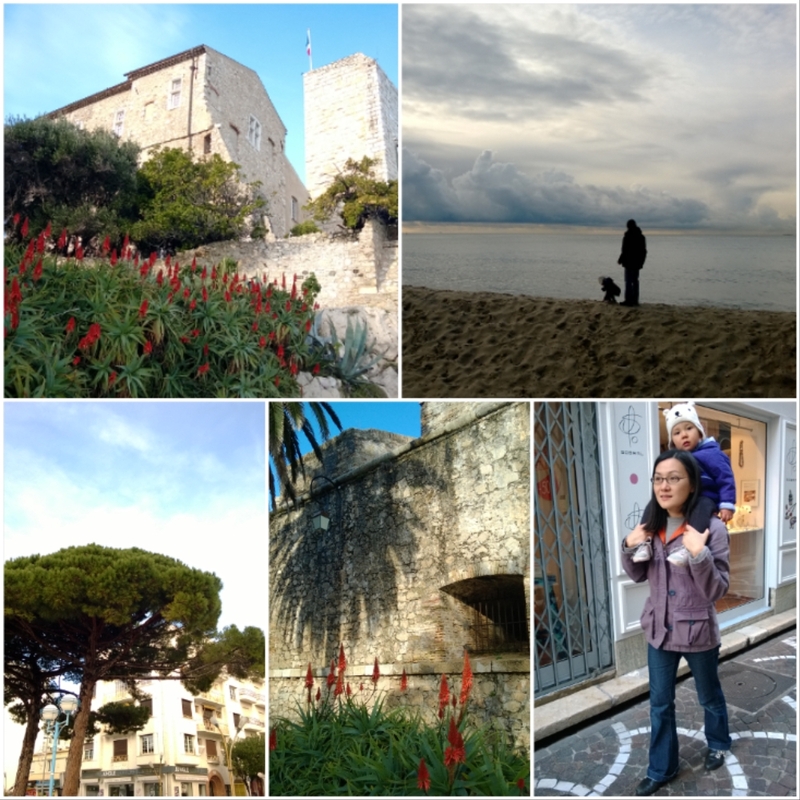 I really enjoyed reading this post as it reminded me of visiting Antibes a few years ago. As it happens, one of the things that I remember about the place is eating at a really good pizza restaurant! Lucky you Jonathan 🙂 I think we have to include Italy (not just the bordering city) into our itinerary. There is nothing like a real Italian pizza!